Target: “Renewable energy region”, operating on 100% RE. Status: In progress - Today, around 55% of the consumed electricity is renewable: from wind (23%), biomass (27%), solar power (4.3%) and hydropower (0.2% ). For heating, only 10% RE is used. RES: Wind power, biomass, solar power and hydropower. Implementation: In 2008, the administrative district of Lüneburg established an climate protection unit to coordinate an action for climate protection. By 2010, the county council had set the goal to become a 100% renewable energy region (100ee-Region). It would reduce energy demand, apply energy efficiency measures and expand renewable energy implementation. In 2012, the district and city councils commissioned the University of Lüneburg to conduct a study to achieve this target. 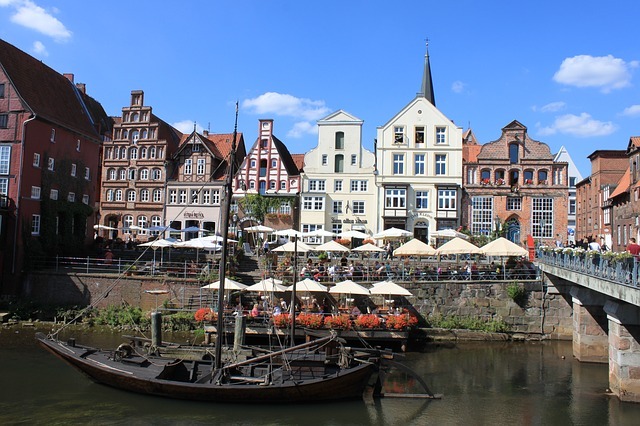 The “100% Renewable Energy in the region and city Lüneburg” was published, stating that it was possible to completely cover the district's energy demand by renewable energies in the electricity and heating sector. It showed options on how this can be achieved and provided ways to reduce energy consumption. The city and the county council began by reducing its own energy consumption by conducting energetic retrofits of all public buildings. It also began encouraging its inhabitants to save energy and to improve energy efficiency in private households. In order to use the potential of wind energy, the administrative area began looking for priority areas for wind and solar energy.